Product #60500 | SKU MFBFRSCC | 0.0 (no ratings yet) Thanks for your rating! This Short Center Column from Manfrotto is an accessory for the original Befree and Befree Advanced lines of travel tripods. The Manfrotto Short Center Column for Befree and Befree Advanced Tripods is an accessory for the original Befree and Befree Advanced lines of travel tripods. It goes in place of the column included with your tripod, reducing your minimum working height and enabling dramatic low angle shots. You can even angle your legs completely perpendicular to the column for ground level shooting. 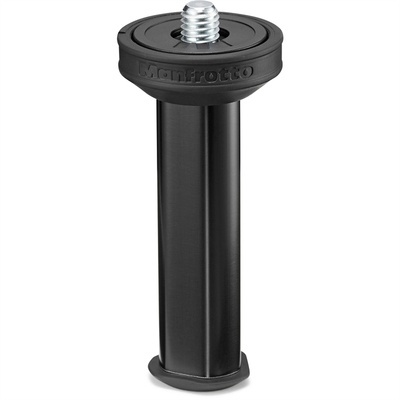 A 3/8"-16 mounting screw is provided for attaching compatible tripod heads at the top.